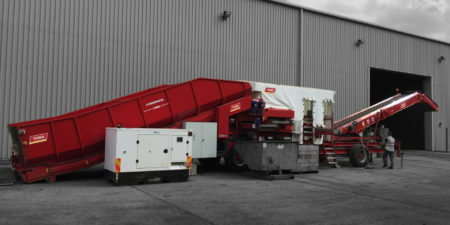 The newly designed Tong Fieldloader mobile vegetable cleaner and grader. 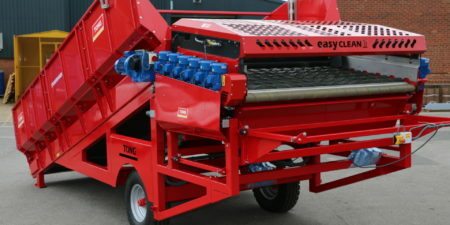 offers all the efficiencies and savings of Tong’s flagship mobile grader, the Caretaker, with the added benefit of allowing growers to clean and inspect crop straight from the harvester and load directly into bulker lorries for onward travel and processing. The perfect solution for your mobile carrot grading needs. 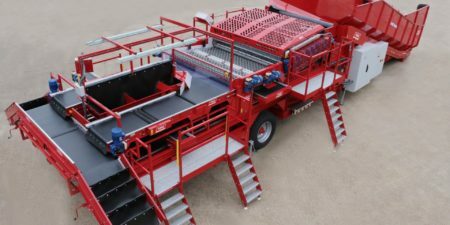 Tong’s Fieldloader has been designed with ultimate convenience in mind, offering a single self-contained mobile unit which makes multi-site and in-field cleaning & handling quicker and easier than ever before. Incorporating a hopper, cleaner, inspection table and extending elevator on one heavy duty road-going chassis, the Fieldloader features remote controls to the Tong EasyLoad extending elevator. With all the latest technical advancements, the Fieldloader really is the next generation in efficient and reliable in-field crop cleaning and loading.